Thank you for your request. The presented object is a sideboard with the measurements of 45,5 cm deep 150 cm long 102 cm high. 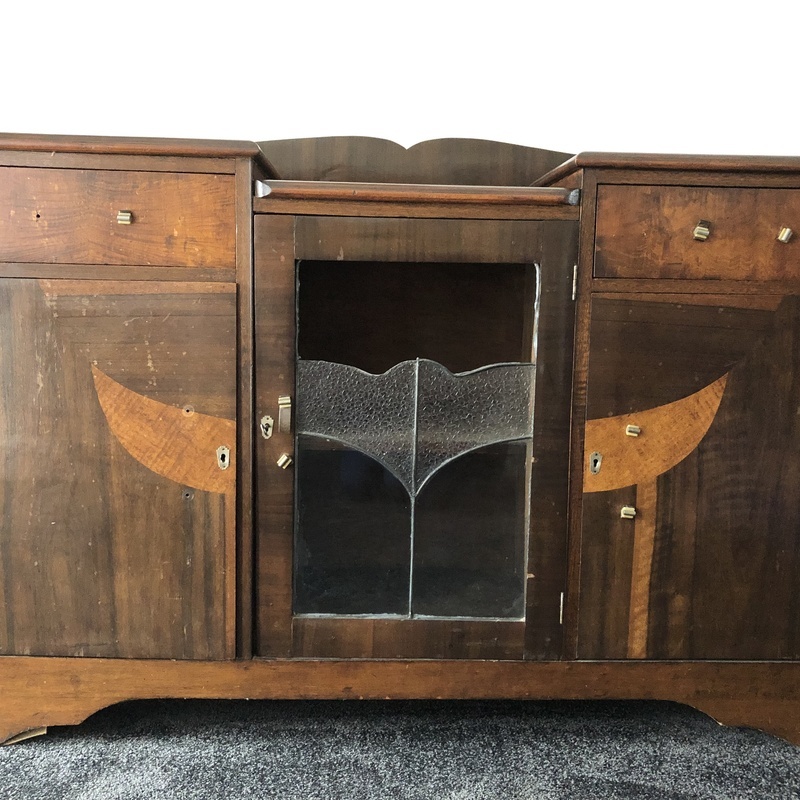 This sideboard is decorated with a veneer inlay decor in the style of the Art Deco. The used woods are mostly nut woods and fruit woods. This piece has no label or stamp to identify the producer or maker. It was probably in the 1920s or 1930s. This piece is in good condition and there are only slight damages visible. An estimation would be between 300 to 600 AUD.